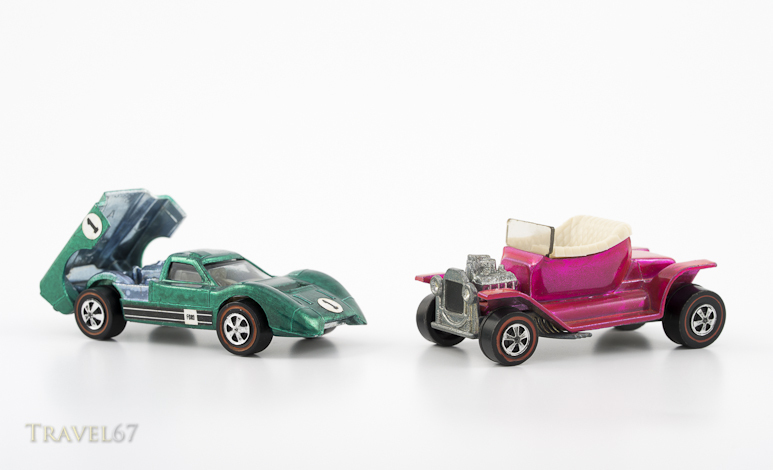 While working on this project to photograph classic toys it’s been interesting learning about how something as simple as the die-cast car evolved. The market was first dominated by British brands like Dinky, Matchbox, and Corgi. Then in 1968 Mattel introduced Hot Wheels, which made the cars from the other side of the pond look literally dull. Spectraflame paintwork was created by applying transparent lacquer to a polished zinc plated casting. The eye-catching result was unlike anything done previously. Beauty, however, was fleeting. In 1973, due to issues with lead paint, the lacquer based Spectraflame was replaced by enamel.